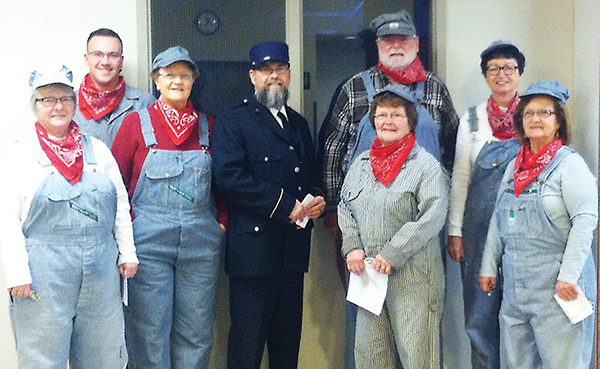 COMMUNITY VOLUNTEERS that helped out with the fun Polar Express-themed day were, left to right: Connie Farris, Joe Davis, Margie Larson, teacher Jason Bruce, Delores Howard, Sam Greene, Deb Boschee and Cheryl Schmiedt. Students, teachers and community volunteers celebrated Polar Express Day at Woonsocket Elementary Monday, Dec. 21 before letting out Wednesday for Christmas vacation. The Woonsocket hallway was decorated as a train, complete with the track and snowflakes coming down from the ceiling overhead. Teachers and volunteers dressed up in holiday garb or train-engineering outfits for the day, and students were allowed to wear their pajamas to school. The book “Polar Express” was read aloud to the elementary in the morning, followed by some “Minute to Win It” games. They finished their day with movies. On Dec. 3, a deer nicked the 2008 Cadillac DTS belonging to Edward Bechen of Artesian, resulting in $900 worth of damages to his vehicle. On Dec. 11, Lorry Risetter of Huron had a 2014 Chevy Cruz damaged by a deer, with damages totaling $4,600. Dec. 14, Fred Borns of Watertown crashed his 2011 Chevy Equinox into a suicidal deer that just couldn’t wait until next deer season. Borns’ vehicle suffered $5,000 worth of damages as a result. On Dec. 15, Juan Lopez Morales of Huron lost control of his 2005 Dodge Durango, causing $8,600 worth of damages to his vehicle. The day after Christmas, Dec. 26, a deer decided to try and put an end to some holiday cheer by causing $2,000 worth of damages to the 2003 Pontiac Montana driven by Zackie Hofer of Freeman. Rolland “Ike” Petesch, 92, passed away Dec. 20, 2015, at Prairie View Care Center in Woonsocket. His funeral Mass was Saturday morning, Dec. 26 at Prairie View Care Center. A memorial service and inurnment will be held at a later date. Ike Petesch was born in Forestburg on Oct. 7, 1923, to Jack and Elva “Sis” Petesch. 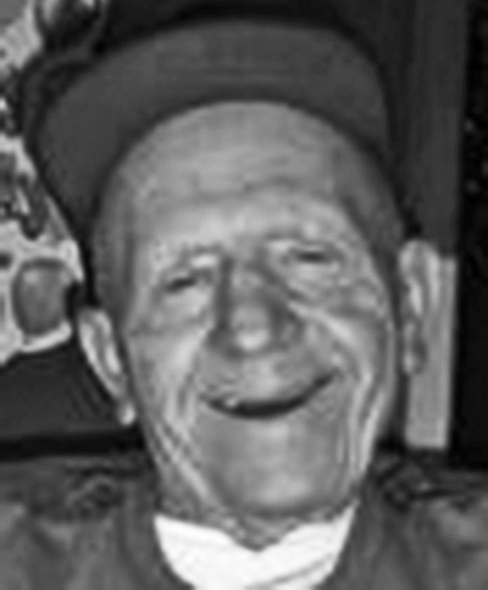 He spent his life in Forestburg and graduated from Forestburg High School in 1941. He was a great promoter and supporter of the Forestburg School and the Forestburg community. He owned and operated Ike’s Pool Hall in Forestburg for 28 years, where he raised a family of his own. Ike was a dedicated athlete and excelled in baseball. He was inducted into the South Dakota Baseball Hall of Fame in 2011, an honor that brought him special pride. Survivors include one sister, Lois Piper of Mill Creek, Wash.; sisters-in-law, LaWayne Petesch of Minnesota and Colleen “Corky” Petesch of Washington; and many nieces, nephews, cousins and friends. Ike was preceded in death by his parents; sisters, Millie and Rosie; and brothers, Eugene “Peck” and Wesley “Cork”.